Product categories of Automatic Hydraulic Control Valve, we are specialized manufacturers from China, Automatic Hydraulic Control Valve, Hydraulic Flow Control Valve suppliers/factory, wholesale high-quality products of Hydraulic Operated Valve R & D and manufacturing, we have the perfect after-sales service and technical support. Look forward to your cooperation! 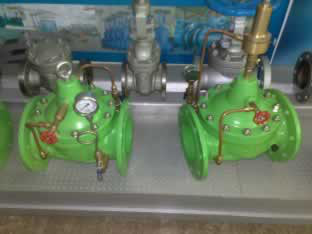 Control valves are valves used to control conditions such as flow, pressure, temperature, and liquid level by fully or partially opening or closing in response to signals received from controllers that compare a "setpoint" to a "process variable"whose value is provided by sensors that monitor changes in such conditions. 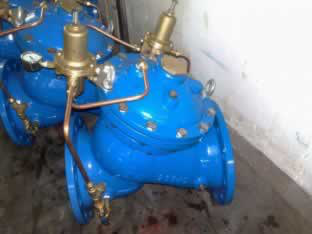 Control Valve is also termed as the Final Control Element.